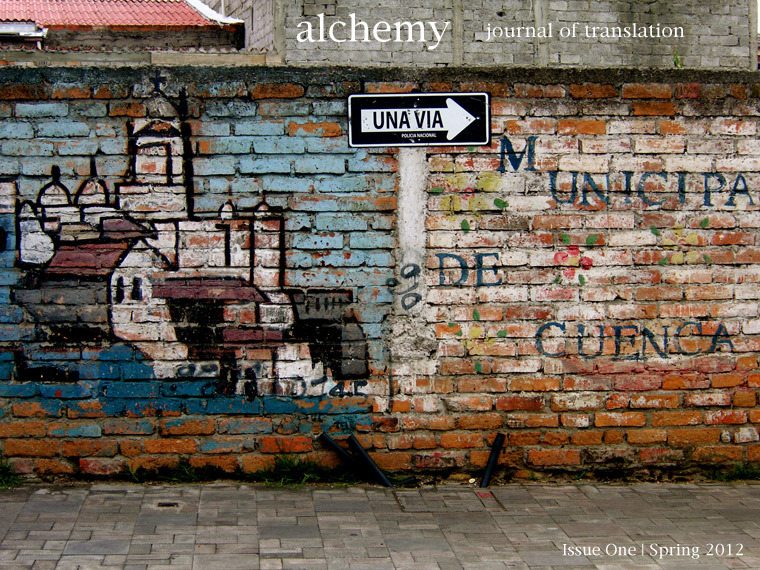 Alchemy is finally live with our first issue. See it here. Beautiful Cover of Issue One. Photo by Alexander Zeleniuch. Congrats in launching the online magazine. I heard it is tough translating literary works of any kind, so good luck with the endeavour! Very cool cover! Lots of character.